‘Radio Frequency IDentification’ technology allows for the wireless and rapid transfer of data between RFID tags and control software connected to RFID readers and interrogators. 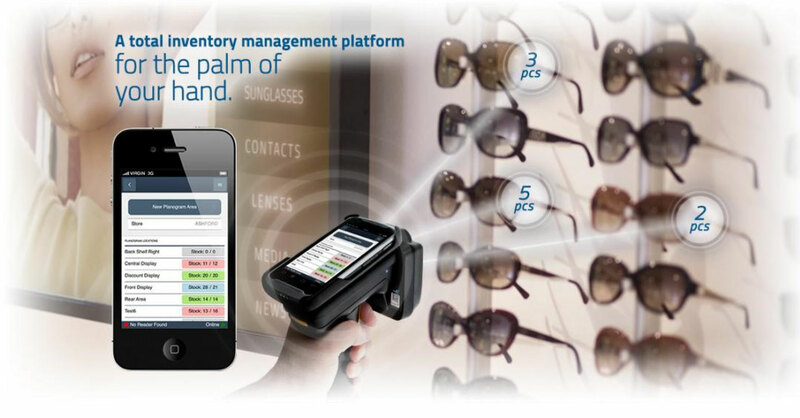 The eGRAB™ platform is a boundary pushing software suite that allows businesses to deploy RFID technology across four main functions loss prevention, logistics, inventory control and shopper marketing with in-store inventory analytics. eGRAB enables the data transfer of unique RFID EPC values to embedded security systems.This means not only do you know that something left the shop, but you can specify exactly what item it was and the exact time it was taken. This data can be time stamped to CCTV footage in order to identify the culprit. The eGRAB inventory app is designed for the user, and that’s why so much time was taken in the design of our graphic interface. The eGRAB dashboard displays powerful inventory insight to help retailers manage the complete stock control process, rapidly count inventory, promote FIFO selling, manage in-store display areas / planograms and much more. eGRAB has a complete RFID and digital media design tool that enables retailers to customise the content triggered on digital signage displays and interactive kiosks when a customer interacts with an RFID tagged product.